From the mountainous, rugged terrain of the Alps in the north of the country to the mild climate you’ll experience while basking in the sun along the southern coast, Italy has something to offer for everyone. The variation each region provides you with means that with every trip to the country you can experience something different. Additionally, with a plethora of cities scattered across Italy, it is the perfect place to escape to this summer, meaning that it should definitely be at the top of your travel bucket list this year! Before booking your city break, there a number of different things that are important for you to take into consideration, from how much sunshine you’re hoping to experience to how authentic you’ll find the environment. We’ve composed a list of some of our top tips to help get the ball rolling and provide you with a little bit of inspiration. When visiting a city, you need to consider what it is that you want to get out of your time away. If you’re planning on travelling around to tourist hotspots, sightseeing and snapping pictures, it is more than likely that you’ll appreciate a slightly cooler climate to make the experience more enjoyable. However, if you’re looking to sip drinks and wander down to the coast like you could do when visiting Sicily’s capital, Palermo, a warmer temperature is the perfect choice for you. Over the course of the summer, the weather in Italy begins to heat up, with certain areas reliably reaching the high 20’s. Naturally, if you’re travelling within the summer months, the chances that you’ll want to catch a tan are more than likely. So, before booking, it is important to look at each region and the projected forecast for when you’re looking to go. Not only is this beneficial as you’ll be able to uncover if there is any suspected rain, but you’ll also be able to plan any wardrobe choices and excursions. The cooler option: Bari, Puglia, Ancona, Le Marche. Here at Essential Italy, we believe that where you choose to stay is one of the most vital elements of your holiday. For some, the practicality of a hotel is the convenient option, especially if you’re travelling with young children or as part of a group. However, have you considered a villa? Although you may love the idea of your children feeling safe in a hotel, an added layer of protection is given when you’re staying in your own holiday property. In addition to the safety aspect, there is an added layer of privacy, as well as the bonus of having more space to roam around. Our properties have a range of features, such as swimming pools, which is perfect for a dip in at the end of a long day. Additionally, their locations mean that you can either find something a central or a little more secluded and away from the thriving cities that you’ve been exploring. While on holiday, getting the balance right between rest and rejuvenation and exploration and discovery can make all the difference. If you’re wanting the bustle of a city but with the tranquillity of a beach resort, a coastal city is the answer to your prayers. 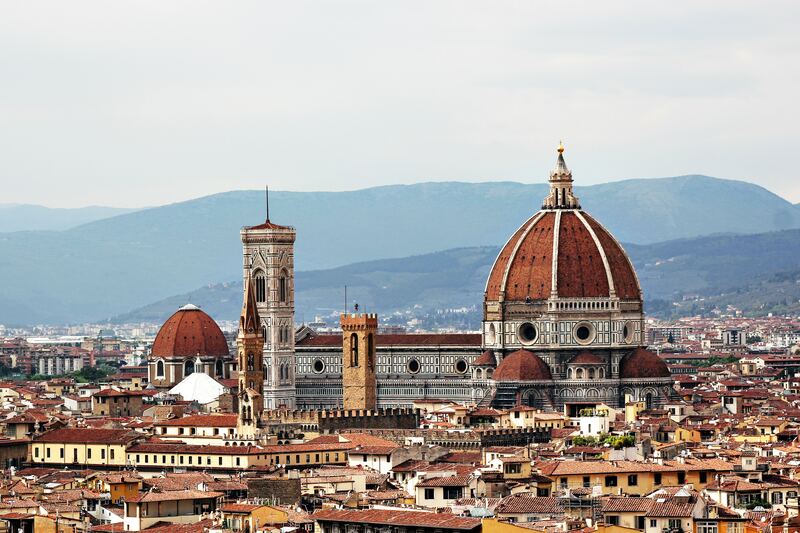 However, if you’re wanting a back-to-back sightseeing extravaganza, then travelling into the heart of a region such as Florence will allow you to soak up all the architectural delights you’re after. Aside from sightseeing, it is important for you to look at what else is on offer. Day excursions allow you to try something new for a while, whereas the ability to try your hand at some watersports is a fantastic option for those thrill seekers. If you have a particular site that you’re interested in visiting, such as the Uffizi Gallery in Florence, you should begin to write a list of other things that pique your interest before leaving to help you create an itinerary for your time away. If you’re curious as to how you could soon be spending your summer, why not reach out to the team here at Essential Italy today? We have an incredible array of properties, including luxury villas in Sardinia, rustic Trulli in Puglia and rural accommodation nestled in the heart of Tuscany. For more information, contact us today!